There are thousands of free apps in the iTunes App Store, but deciding what apps to use and how to use them to meet your students' needs takes time. 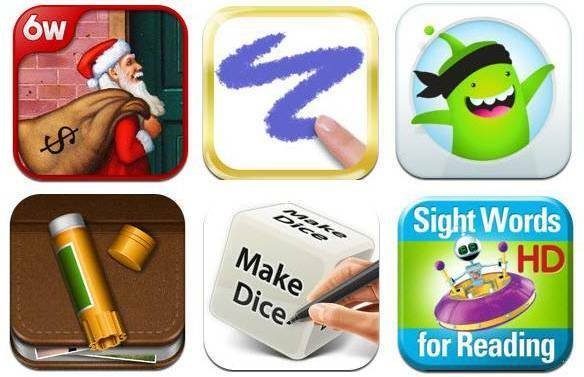 Check out the links to blog posts below to see how some very creative SLPs use free apps. Speaking ofApps blogger, Jeremy Legaspi, wrote about What's the Saying, a free app that he uses when teaching students about idioms and figurative language. Visit Chapel Hill Snippets to see how Ruth Morgan uses Doodle Buddy in therapy. Learn how Allison Nichole, at Speech Peeps, creates visuals using Class DoJo. Read the blog, speechymusings, to see how this SLP grad student uses Story Creator to teach language and articulation skills. Make Dice Lite, isn't an app that would pop up in a search for speech and language apps, but Abby, at School House Talk, creates dice for articulation, language, and fluency therapy. Angela Desideri, found at AT and AAC: Practical Tips and Strategies, employs Sight Words for Reading HD to teach core words to AAC users. Thank you to these bloggers for their wonderful ideas! Good roundup. Thanks for the shout-out!